The Fort Worth veterinarian accused of keeping an animal alive to use for blood transfusions had other reported violations with the Texas Board of Veterinary Medical Examiners. Camp Bowie Animal Clinic veterinarian Dr. Millard "Lou" Tierce was arrested and charged with animal cruelty Wednesday night, a day after a family accused his clinic of keeping their dog for months to use for blood transfusions. Tierce was released on a $10,000 bond following his 7 p.m. booking, after he turned himself in Wednesday to the Tarrant County Sheriff's Office. He is charged with cruelty to animals, non-livestock. His veterinary license was temporarily suspended Wednesday as well. Paperwork obtained by NBC 5 outlines what was found at the clinic by investigators on April 29, and why the license was suspended. According to the order of temporary suspension, Tierce admitted to accepting five animals for euthanization but did not euthanize them, including Sid, who was used in the alleged transfusions. Additionally, the order said there were unsanitary conditions at the clinic. "Animal organs were kept in jars throughout the clinic. Bugs were visible in exam rooms. Stacks of drugs, trash, laundry, paperwork and other miscellaneous items were strewn about the examinations rooms, hallways, stairwells, operating room, laboratories, and offices of the Clinic,” according to the documents. The documents stated the board has found the doctor could be threat and real danger to patients, and violated rules for minimum security of controlled substances, among other reasons. Tierce told NBC 5 Thursday he could not comment on the investigation, complying with his attorney's request. The Better Business Bureau of Fort Worth said there is only one complaint on his file within the last three years. The Fort Worth Police Department will only say the investigation continues and the state's Board of Veterinarian Medical Examiners said it cannot comment on open investigations. But the police department did say anyone who would like to file a report in regards to this case should call the FWPD non-emergency number of 817-335-4222 and explain they would like to make a report regarding the Camp Bowie Animal Clinic. They should also mention related report number 14-37697. 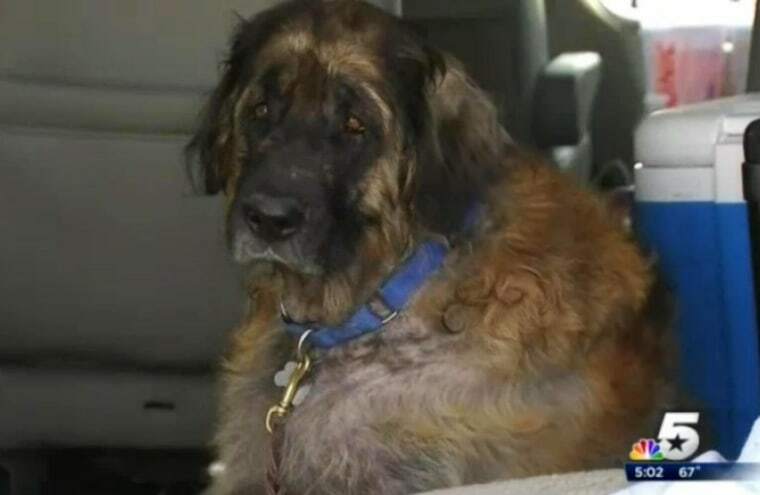 The situation came to light on Tuesday after Jamie and Marian Harris said they were contacted by a vet tech at the clinic who said Sid was being kept alive six months after they approved his euthanization due to a diagnosed congenital spine condition. Upon hearing Sid was alive, the Harris family went to the clinic, found their dog and freed him before contacting authorities. Sid is now home with the Harris family and being treated by other veterinarians. According to the Harris family's lawyer, James Eggelston, doctors have determined the dog has mange, shows definite signs of being used for blood transfusions and shows evidence of being "abusively kenneled." Inside the clinic Wednesday, staff answered ringing phones and fielded questions from clients who wanted their pet's records. The flurry of inquiries sparked by the accusation that the doctor lied to the Harris family for months about Sid's fate. NBC 5 recorded video of Tierce helping a dog into the clinic, showing the compassionate nature many customers recall when they think of the vet. Greg Aston, who supports the doctor, told NBC 5 he's been a customer for years. "Great veterinarian, trust him 100 percent," Aston said. "Never had any problems, very thorough, very professional. He seems to really care about the animals — not just here for the money." NBC 5 received several emails and phone calls from other customers who had similar positive things to say about Tierce. Still, others are now questioning their decision to bring their pet to Tierce's clinic with the allegations brought forth Tuesday. "I cried, because I wish I hadn't done this. Maybe this wasn't the best choice for her," said Keri Eagle, who took her miniature pinscher to Tierce last year but ultimately had to put her down as dog's health deteriorated. "I just question myself for making a wrong decision by bringing my dog here." Many other clients approached NBC 5's cameras on Thursday to offer their showing of support for the veterinarian.